Saudi Arabia is unlikely to be on your vacation list. Its government is trying hard to change that. The kingdom already welcomes millions of Muslims pilgrims who come to visit Mecca each year, and it is now gearing up to attract conventional tourists. 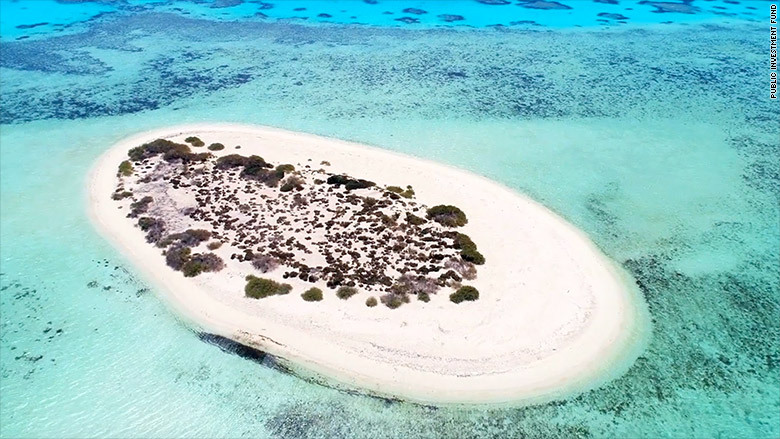 "The targets are people who want to literally experience this country and the grandness of this country," Prince Sultan bin Salman, head of the Saudi tourism and national heritage commission, told CNNMoney's Richard Quest. Saudi Arabia plans to issue its first tourist visas in 2018, the prince said. Visas were previously restricted to people traveling to the country for work or to visit its holy sites. Attracting tourists is a central plank of the country's plan to reduce its reliance on oil. It's aiming for 30 million visitors a year by 2030, up from 18 million in 2016, and it wants annual tourism spending to hit $47 billion by 2020. To that end, several ambitious projects have been announced in the last few months. It's planning to build resorts on about 100 miles of the Red Sea's sandy coastline, and wants to open a Six Flags (SIX) theme park by 2022. 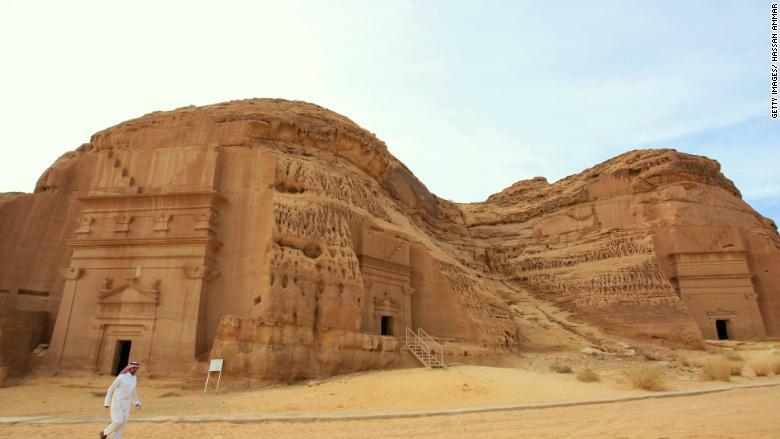 The Red Sea initiative caught the eye of billionaire Richard Branson while on a recent tour of the kingdom that included a visit to ancient tombs at Madain Saleh, a UNESCO World Heritage Site. Crown Prince Mohammed bin Salman, who is driving the economic overhaul, has also unveiled plans for a $500 billion metropolis that will extend across Saudi Arabia's borders into Egypt and Jordan. "Saudi Arabia holds tremendous tourist potential due its favorable temperature, historical and cultural heritage, natural beauty and rich marine life," said Nikola Kosutic, senior research manager at Euromonitor. "But it is surrounded by politically unstable countries where security has always been an issue." The security situation is the biggest challenge to Saudi Arabia's tourism dream, and it was underscored Tuesday when the U.S. State Department issued a new travel warning. It warned Americans "to carefully consider the risks of travel to Saudi Arabia," citing threats from terrorist groups such as ISIS and missile attacks from Yemeni rebels on civilian targets. "Terrorist threats persist throughout Saudi Arabia, including in major cities such as Riyadh, Jeddah, and Dhahran, and attacks can occur without warning anywhere in the country," the State Department said. Foreigners may also be deterred by uncertainty over how to behave when visiting the kingdom. For decades, Saudi Arabia has enforced strict Islamic rules on dress codes and gender segregation. There are also currently few entertainment attractions. Public cinemas and theaters are banned. The kingdom hosted its first music concert this year, but only men were allowed to attend. Still, the crown prince has vowed to destroy "extremist ideologies" and return to "a more moderate Islam." There are signs that some restrictions are already being relaxed. Women are being given the right to drive and from next year will be allowed to enter the country's biggest sporting venues. Men and women have been mixing at major conferences this year. "If Saudi Arabia manages to craft smart promotional campaigns focusing on its strength and addressing some of the perceived security issues, it could potentially tap into a vast regional travel market as well as capture some of the European travelers," said Euromonitor's Kosutic. Muslim travelers in the Middle East and beyond are a huge potential market. In a report in May, Mastercard estimated that there would be 156 million Muslim travelers by 2020 -- up from 121 million in 2016 -- spending $220 billion each year. For now, however, the government in Riyadh is likely to have more success building its domestic tourism industry. 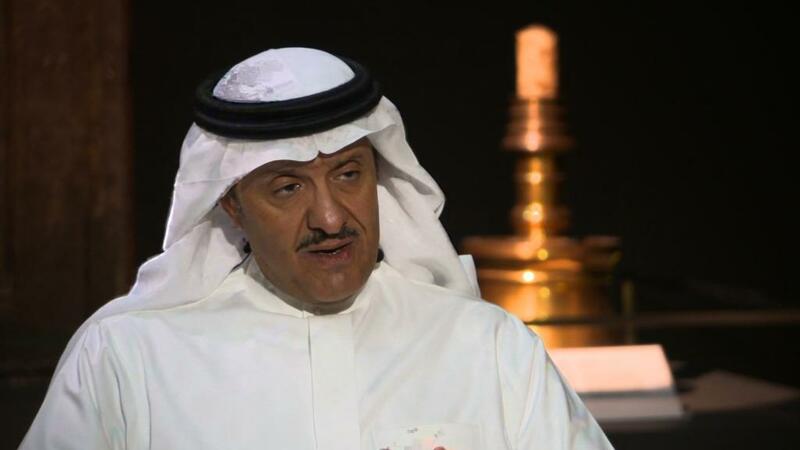 "Saudi tourists, who are seeping outside the country, are the biggest target for us," Prince Sultan said. Neighboring Dubai, for example, has been visited by more than 1.2 million Saudis already this year. "We were late, decisions were late, funding was late and other countries, especially in the Gulf, have risen to the challenge and started attracting more people from Saudi Arabia," the prince added.